The continued momentum of Peter Gzowski Invitational events is due in part to the support of Canadian talent like the Arrogant Worms. The trio includes Mike McCormick, Chris Patterson and Trevor Strong. The Arrogant Worms have been donating their time and talent to the cause of literacy in Canada through Frontier College for many years and have been twice given the Peter Gzowski Award for their efforts. 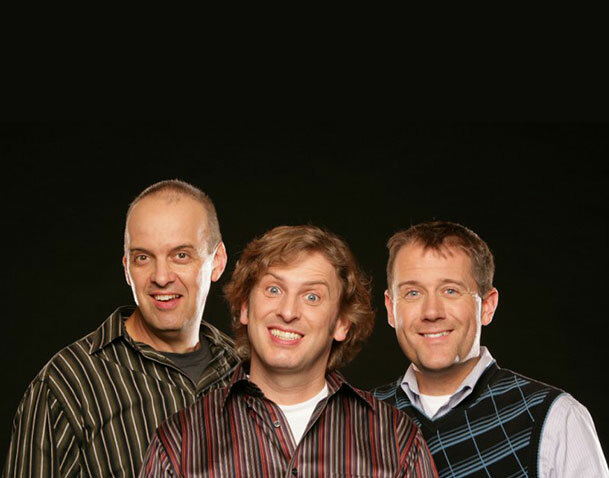 They are a Canadian musical comedy trio that parody many musical genres. They are well known for their humorous on-stage banter in addition to their music. Since 1992 the troupe has released fourteen CDs. Their most recent album, SPACE, was released in March 2014. The Arrogant Worms have sold more than 150,000 copies of their 14 albums and played on three continents to crowds as large as 100,000.